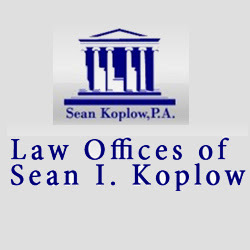 Description: Sean I. Koplow, P.A. is an experienced Foreclosure, Chapter 13 & Chapter 7 Bankruptcy Attorney offering services in Lake Worth, Royal Palm Beach & Wellington, FL. We have 25 years experience in bankruptcy law and can guide you through the process. Call 561-255-1122 for more information.